This Kyoto print cushion, Featuring a bold, stylised floral print in soft hues, the cushion has been beautifully finished off around the edges with the Kyoto cotton piping. 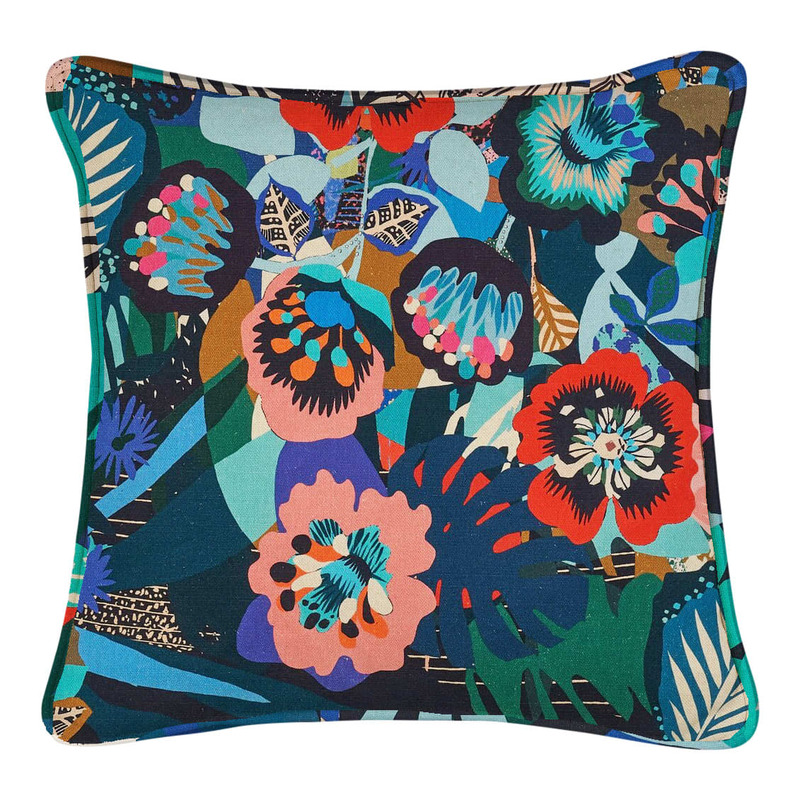 The cushion will looks great paired with the Yari + Bauhaus or the Queen palm cushion. Kitty McCall in Folkestone, United Kingdom.